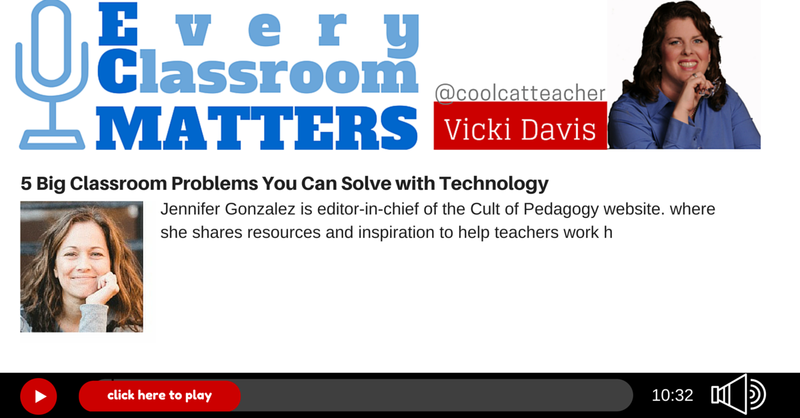 In this episode, technology guru Jennifer Gonzalez shares ideas for increasing engagement and making teaching easier with technology. If you’re using Makerspace and genius hour, learn how to build an online toolkit for your students. How can we increase student participation with technology? What are the best ways to collaborate with other teachers? What are the tools you should put in your online Makerspace toolkit? An easy way for busy teachers to find awesome resources. How teachers hold themselves back from advancing in technology. Technologies for elementary and kindergarten students. Where can beginning educators get started with technology? The post 5 Big Classroom Problems You Can Solve with Technology appeared first on Cool Cat Teacher Blog.